On this week's episode of The Dairy Edge podcast, Johnstown Castle dairy farm manager Aidan Lawless gives an update on the performance of the Johnstown Castle herd. 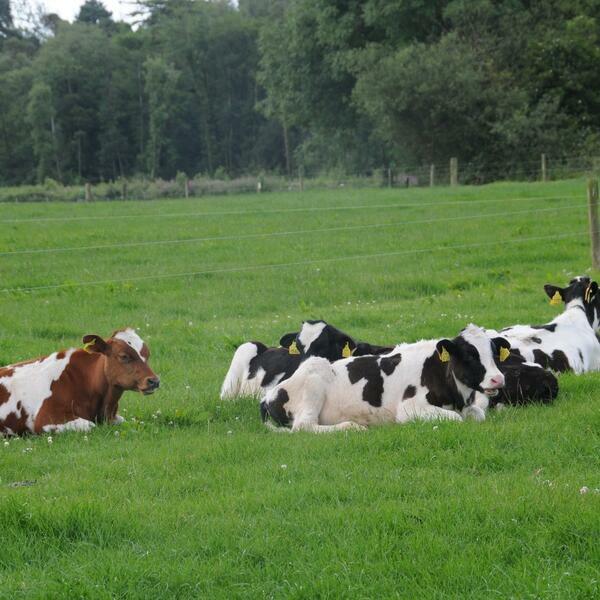 Firstly Aidan gives an insight into the current performance of the autumn calving herd. Cows were out at grass since January 10th which is uncharacteristic but Aidan explained with the mild winter and high overwinter growth, there was a high cover of grass and good ground conditions. Aidan explained that the breeding season had gone with very little evidence of repeats. Cows were bred for a total of 11.5 weeks with 6 weeks of AI and the stock bulls. He also explained that over 90% of the spring herd have calved to date. February was a good month but he explained that weather conditions have made grazing more difficult over the last 10 days. Cows are getting at least 90% of the grazed grass allocation when they get out for two grazing bouts in the day but reminds us that they are being very careful not to damage swards. Looking back to 2018, Aidan was slightly disappointed with MS production of 520 kg MS per cow. He thinks prolonged housing and silage supplementations during periods in April and May had an impact on the milk production potential of the herd. Finally, Aidan reviews the 2018 farming year and the key lesson for the Johnstown Castle Dairy Herd. Aidan explains that the milking platform stocking rate of 2.7 cows/ha is comfortable based on grass growth capability. In 2019 they will work hard to re-build stocks of buffer silage and be more proactive in the decisions around timing the sale of cull cows and surplus heifers.